Samer Fanek’s first release Wishful Thinking was just released a few weeks ago. It is with great pleasure I introduce this talented young pianist to an audience eager to hear an emerging talent playing instrumental new age music with a definitive classical influence. 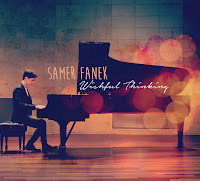 Just as his website indicates, Samer's compositions blend the piano and orchestral instruments with the more contemporary, including synthesizers, rock and ethnic instruments. He cites Yanni and others as an influence and you will most certainly hear that panoramic and cinematic sound as the curtain opens on this ambitious recording. The title track engages you right away providing a marvelous introduction to Samer’s sound. “Freefall” is exciting track filled with keyboards and orchestrations. When you look at the cover of this CD it projects simplicity however this music is far from that. It is definitely a “Freefall” into a wall of sound and oh so beautiful. If you are “Ready to Go” this track is a whirling dervish of textured keyboards and colorful nuances. 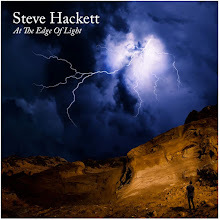 It is tastefully done as he presents it with a forcefulness to push the music out but with a determination and grace that only an accomplished keyboard maestro can provide. To make sure you see all the emotions and a different side of his musical interpretations he creates a touch of divine inspiration with tracks like “Fantasy.” Picture yourself floating up to the heavens as the other spiritual beings come down to greet you and carry you away. The song creates a nice floating sensation that made me feel connected and spiritual thus making it easy for my own interpretation of the track. You have to be a true visionary to create instrumental music so full of life and emotion. Samer Fanek has recorded a superlative debut and I would expect that he will be recognized in short order. I think the folks in not only in the music industry but in films need to take notice of this young man’s talent. It is a nice relaxing experience to hear this music but I sure can hear it playing as a soundtrack in a movie as well. So the options are endless for music such as this. The anticipation for more great music already begins once the CD is finished playing. For now you will have to hit play again until he returns with a second installment of instrumental bliss.